The BOD asked participants of the 2018 National Show to fill out a selection of judges at the show in Glen Rose, Texas. To ensure all members are heard, the BOD is reaching out directly to our full membership for their input on judges for the 2019 Show. We will most likely be using the Two Judge Conferring system again in 2019. Based on the feedback provided by members, judging experience of the individuals, and feedback from the JAC the BOD will make a selection of judges for the 2019 US National Show. Please see the below link to vote for a selection of TWO judges for the BOD to pick from. The survey will be open for 1 week, through November 16, 2018. We are requiring that names are attached to the survey to ensure they are a current member and that each member is only voting once. 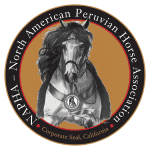 All NAPHA active 2017 & 2018 judges are listed, in addition to the AGCPCPP (Guatemalan) approved judges and ANCPCPP (Peru) judges. Please note that ANCPCPP judges are not allowed to participate in a conferring judge system with judges carded outside of the ANCPCPP (Peru) list. Complete by November 16, 2018!